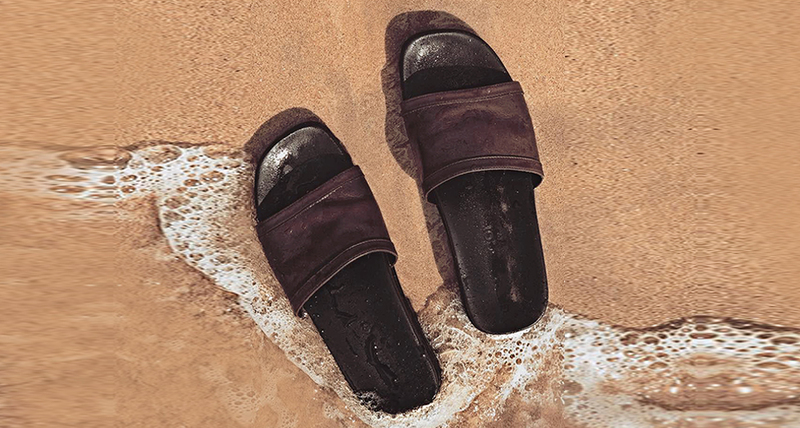 Finding the ideal sandals for the beach can often be a struggle for men. For shorter men it can sometimes be even more difficult. But the good news is, it doesn’t need to be difficult. There are plenty of sandals out there that can add style, elegance and height to your day at the beach. Your vacation should be a chance to show off your style and personality and elevator sandals from GuidoMaggi can help you do that. When it comes to choosing swimwear for your beach vacation, it can mostly be about personal style, for example the colors, prints and patterns that you opt for. But if you’re wanting to keep it stylish and slimming, it can be a good idea to opt for block colors. Block colors can also be easier to pair with shirts when you need to cover up for heading to the bar. Pastel tones can work well, as can the colors seen on the runways for 2018, including burgundy and sand colors. Stripes can also work well, particularly the wide stripes that are on trend right now. When you’re choosing your swim shorts, opt for a shorter style, as this can help to elongate your legs and make you appear taller. This can be a useful trick for shorter men. Once you’ve got your swimwear picked out, the next thing is to choose the perfect footwear to go with them. With a pair of luxury elevator sandals from GuidoMaggi you can add a couple of extra inches to your height so that you can look taller even while on the sand. When you combine the sandals with your slimming swim shorts, you will immediately feel more self confident. The Thailand model can be the ideal choice for the beach as it can provide comfort with the adjustable velcro straps and ergonomically designed leather insole. These handcrafted sandals can increase your height by 2 inches and feature a black, full leather upper and a lightweight rubber sole. For a sleek look for the beach, the Forte dei Marmi model will give you that 2 inch height boost that you’ve been looking for and will keep you looking stylish even on the sand. These pool slides will look chic with a range of swimwear, as they feature a leather upper with luxury speckled effect detailing. Whether you’re strolling to the beach or the pool, elevator sandals can boost your style and your confidence.